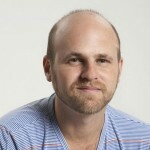 Brett Solomon is the co-founder and Executive Director of Accessnow.org – a new global movement for digital freedom. Before that he was the Campaign Director at Avaaz.org, and before that the first Executive Director of GetUp! an Australian grass roots political organisation with over 300,000 members.